When a tree has outgrown its surroundings, we can offer expert, cost-effective removal. There comes a time when even the most beloved tree on your property might have seen its day and needs to be removed. This can be because it’s old or ridden with disease, because it got damaged in a storm or because it poses a risk to yourself, your family and your property. Sometimes trees also need to be removed if they are consuming too much of the soil’s nutrients, hence depriving other plants of life. 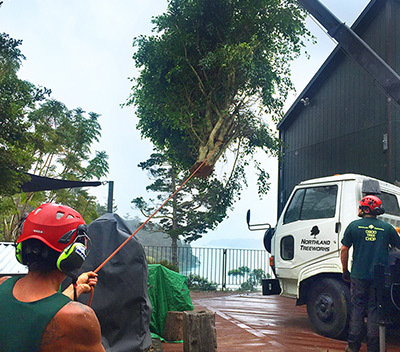 Whatever the cause, here at Northland Treeworks we have considerable experience in removing trees even from precarious or restricted access locations and have become the “go to” guys for sites where old or wind damaged trees present a risk to buildings of historical or national significance. Tree Removal can mean anything from simple felling through to a highly skilled process which requires specialist equipment, so we will need to visit your site and make an assessment in order to provide you with a price and details of the removal. Where felling a tree presents a risk to surrounding structures or plants, we use a technique known as sectional dismantling. The tree is removed in precise, manageable pieces which can be lowered carefully to the ground using ropes and rigging equipment. 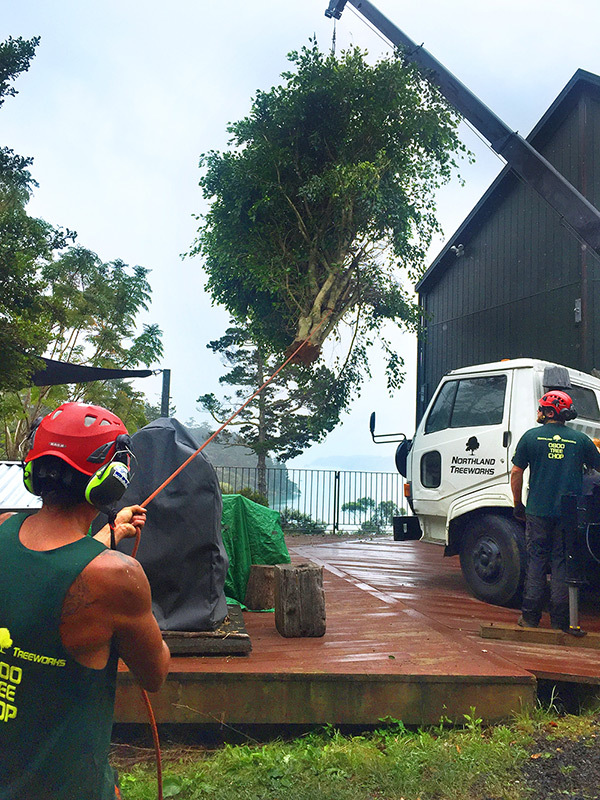 Our trained and qualified arborists will always ensure that no property gets damaged in the process of the removal. We work fast, safe and efficiently and we won’t leave anything behind that might pose an additional hazard such as fallen branches and other debris. We service Whangarei, Kerikeri, Bay of Islands and the Far North. Click here to request a quote.